ACUCA workshop meeting participants in front of Silliman Hall after devotion: (L-R) Rev. Dr. Jo Yong Hun of Hannam University, Korea; Mr. Moses Joshua Atega; Dr. Neil Samuel Rupidara of Satya Wacana Christian University, Indonesia; Dr. Betty Cernol-McCann; Dr. Vivian Chiu-Hui Wu of Wenzao Ursuline University of Languages, Taiwan; Dr. Anita Christine Tiphagne of Lady Doak College, India; Dr. Olga Pattipawaej of Maranatha Christian University, Indonesia; Dr. Sr. Anne Therese Falkenstein of Providence University, Taiwan; Prof. Jane Annette Belarmino; Dr. Earl Jude Cleope; Rev. 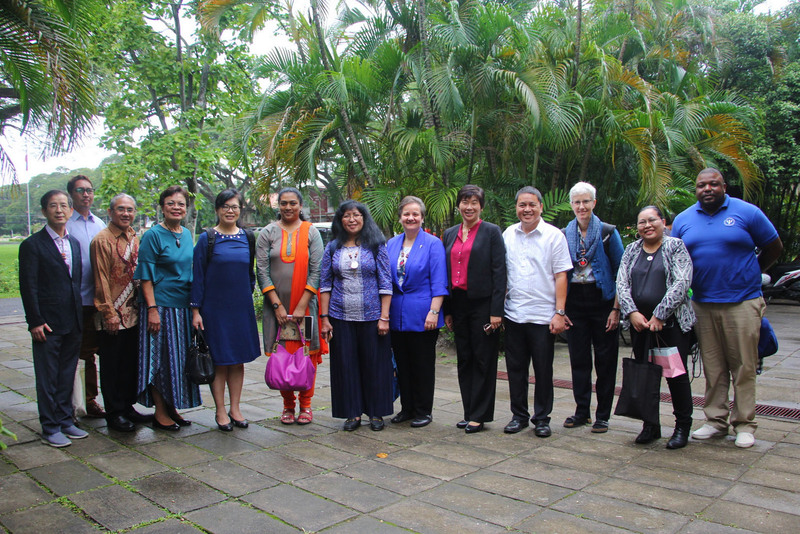 Dr. Esther Wakeman of Payap University, Thailand; Dr. Jenny Lind Elmaco; and Mr. Daryl Robinson pose outside the Silliman Hall after the devotion. 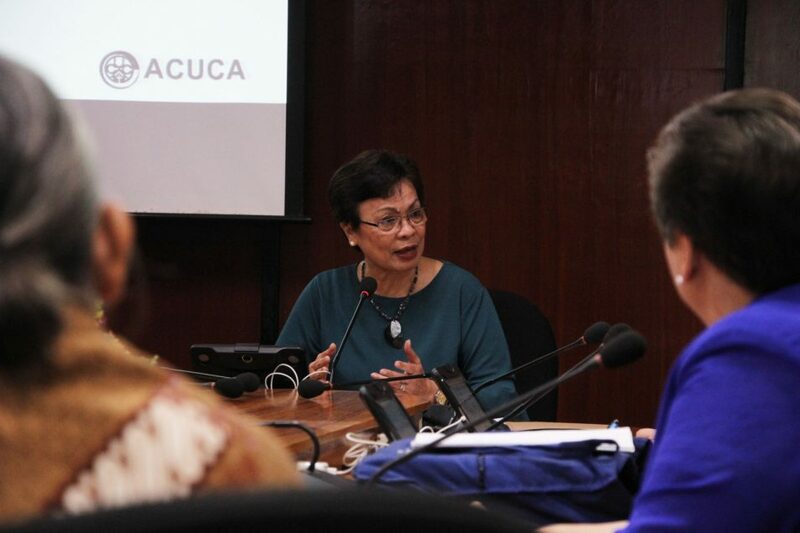 (L-R) ACUCA representatives: ACUCA General Secretary Dr. Jenny Lind Elmaco; ACUCA President Dr. Betty Cernol-McCann; Rev. Dr. Jo Yong Hun of Hannam University; Rev. 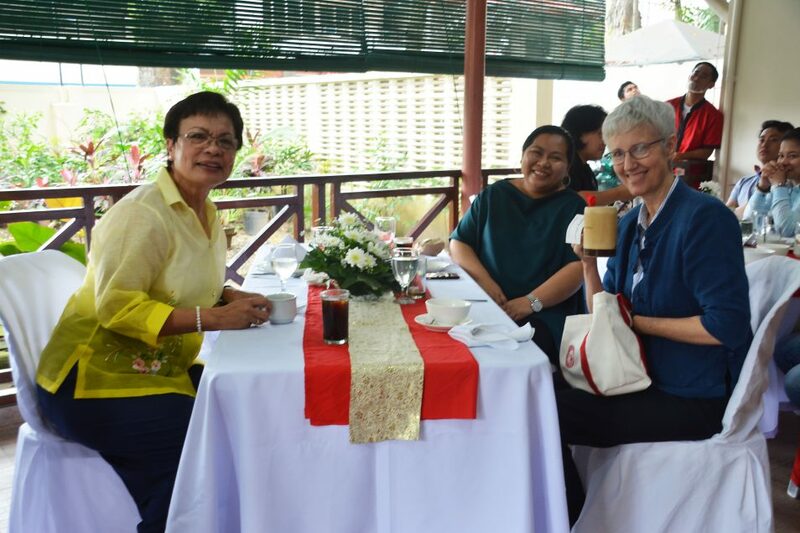 Dr. Esther Wakeman of Payap University; Dr. Anita Christine Tiphagne of Lady Doak College; ACUCA Board Member Dr. Sr. Anne Therese Falkenstein of Providence University; Dr. Vivian Chiu-Hui WuDr. 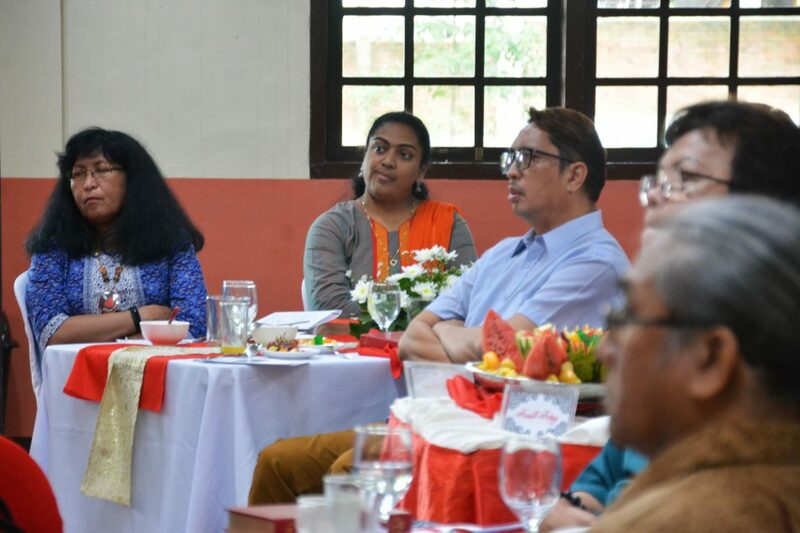 Vivian Chiu-Hui Wu of Wenzao Ursuline University of Languages; Dr. Olga Pattipawaej of Maranatha Christian University; and ACUCA Board Member Dr. Neil Samuel Rupidara of Satya Wacana Christian University. 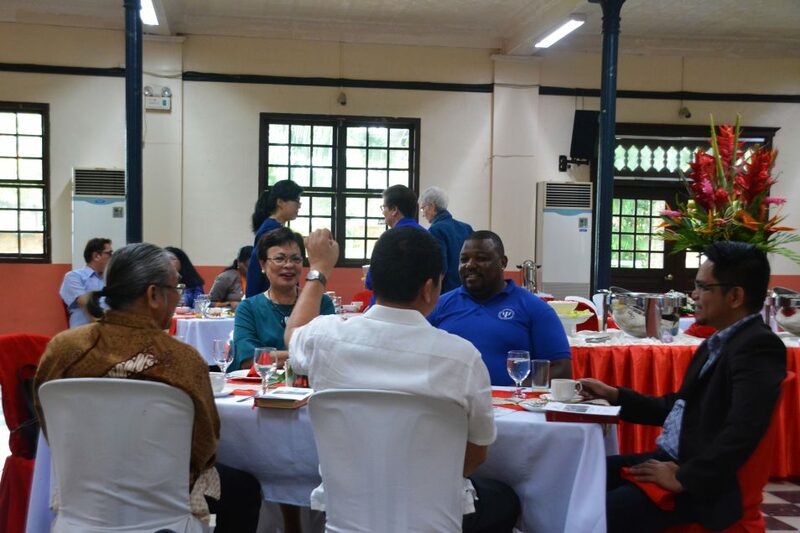 Academic leaders of member universities of the Association of Christian Universities and Colleges in Asia (ACUCA) participated in a strategic planning workshop held at Silliman University (SU) Jan. 25-26. 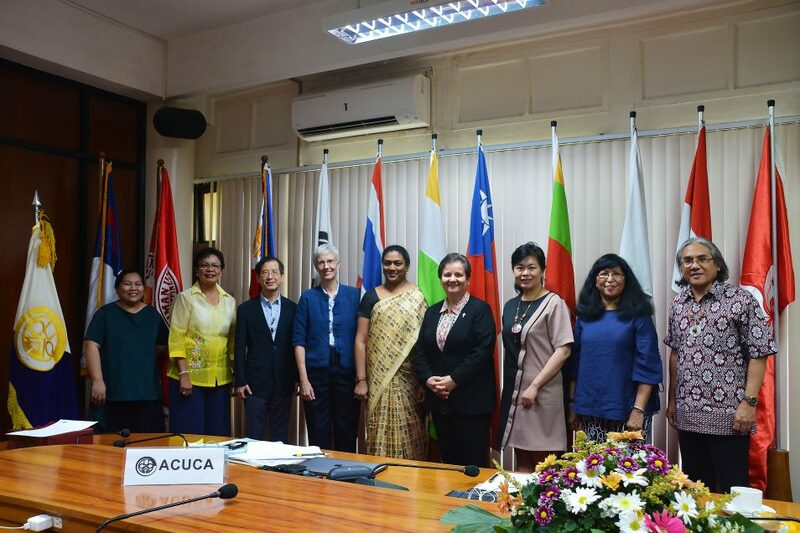 SU President Dr. Betty Cernol-McCann, incumbent president of ACUCA, Dr. Jenny Lind Elmaco, SU Strategic Partnerships director and ACUCA general secretary, and representatives of seven higher-learning institutions in Korea, Indonesia, Taiwan, India, and Thailand met to discuss programs and partnerships between ACUCA member institutions and review the current ACUCA Constitution and By-laws. The following representatives attended the workshop and meeting: Rev. 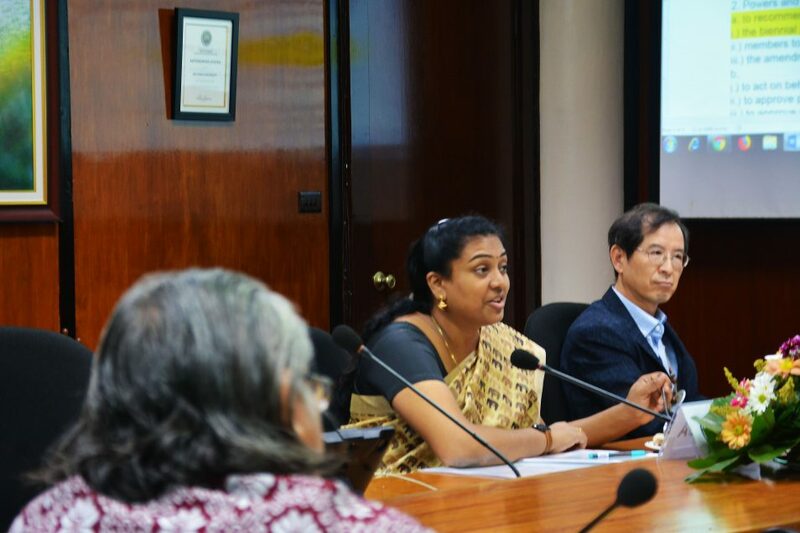 Dr. Jo Yong Hun of Hannam University (Korea); Dr. Neil Samuel Rupidara of Satya Wacana Christian University, (Indonesia); Dr. Vivian Chiu-Hui Wu of Wenzao Ursuline University of Languages (Taiwan); Dr. Anita Christine Tiphagne of Lady Doak College (India); Dr. Olga Pattipawaej of Maranatha Christian University (Indonesia); Dr. Sr. Anne Therese Falkenstein of Providence University (Taiwan); Rev. Dr. Esther Wakeman of Payap University (Thailand). Vice President for Development Prof. Jane Annette Belarmino, Vice President for Academic Affairs Dr. Earl Jude Cleope, International Student Adviser Moses Joshua Atega, and Student Government President Daryl Robinson joined the ACUCA representatives during their pre-workshop devotion led by SU Pastor Rev. Dr. Noriel C. Capulong and Rev. Dr. Jo Yong Hun at Silliman Hall. ACUCA representatives discuss programs, partnerships, the ACUCA Constitution and By-laws during their workshop meeting at the SU Administration Board Room Jan. 25-26. ACUCA representatives as well as other SU leaders participate in a devotion led by SU Interim Pastor Rev. Dr. Noriel C. Capulong and Rev. Dr. Jo Yong Hun of Hannam University at Silliman Hall Jan. 25. 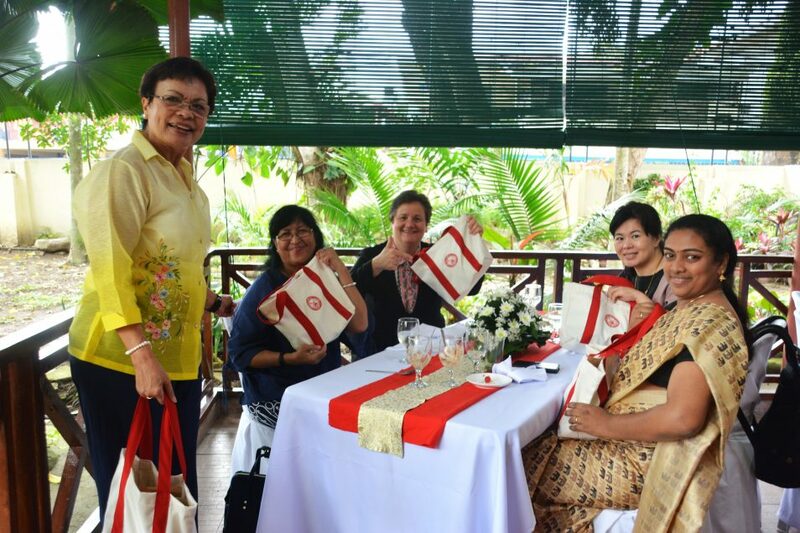 ACUCA representatives tokens from Silliman University after lunch at the President’s House Jan. 26.